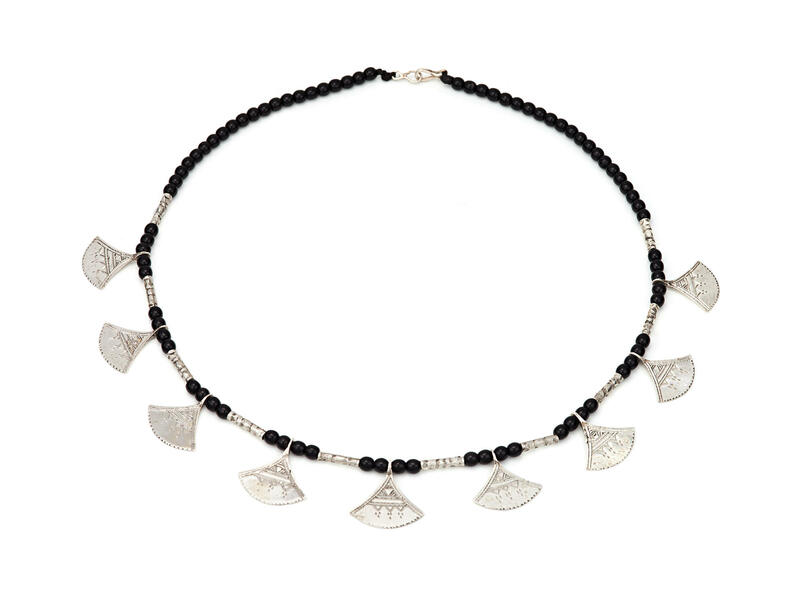 A traditional necklace for Tuareg weddings in Niger. The striped triangles represent dunes striped by the wind. The rest without any pattern is the emptiness of the desert. The beads are onyx. 98% pure silver.